Commercial space travel is making it possible for anyone (even you!) to travel to space! How cool is that?! There is a catch though, it’ll cost you millions of dollars. Not a problem, right? Private space companies are taking individuals up into space to “tour” the galaxy. Such a cool experience, who wouldn’t wanna go?! Fewer than 600 people have been to space so this is a really cool opportunity for you to see something that such a small group of people have seen with their own eyes. When Can I Go To Space? As you can imagine, planning a trip to space isn’t a “spur of the moment” vacation. It takes time and patience. Seven lucky individuals have already gone on a space tour, the first was in 2001 and the most recent was in 2009. Why has it been 6 years since the last launch? Who knows, but some companies have discussed launches planned for 2017 and 2018. Don’t quote us on this though. Many times dates are pushed back due to hiccups, so be sure to visit the company websites for a more accurate timeline. You can start contacting companies now to book your trip to space. There aren’t too many companies involved in commercial space travel; however, there are enough space travel companies for you to have options. Companies include: Bigelow Aerospace Services, Blue Origin, Orbital Sciences, Space Adventures, Space Exploration Technologies (SpaceX), SpaceDev/Sierra Nevada Corp. and Virgin Galactic. 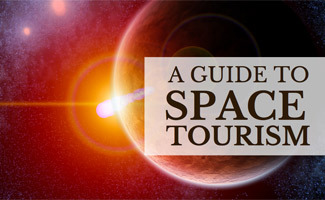 Each company offers its own “space travel package” with various destinations and time lengths. Unfortunately, space tourism is only for the rich at this time. For an individual to go to space it can cost up to $40 million (or maybe even more) for a seat, depending on the company and the length of the journey. Understand that seats are limited, so what you pay for your private space flight is used to cover the majority of what it costs to launch into space. Are you ready to sign up for a space trip?